The campaign premiered on TV during The Voice UK live final on ITV1 tonight ahead of the nationwide launch of Capital Breakfast with Roman Kemp on Monday, April 8th. The TV ad features Little Mix, Liam Payne, Shawn Mendes, Cheryl, Anne-Marie, Halsey, Olly Alexander, David Guetta and Marshmello. Global has teamed up with creative agency Lucky Generals for the first time to create the campaign. In the TV ad, Capital Breakfast is reimagined as a breakfast cereal, with Roman Kemp, Vick Hope and Sonny Jay taking the viewer through their extraordinary world, packed with musical stars. Little Mix glide through a multi-coloured sky on a magical spoon, Liam Payne chases the Breakfast hosts riding a giant toy dinosaur and Anne-Marie surfs through breakfast cereal on a jet-ski dodging Cheryl, Shawn Mendes and Halsey in her path. The marketing campaign will run across TV, Cinema, Social, VOD and Outdoor and will introduce people across the UK to Capital’s new national Breakfast Show, which is sponsored by eBay. The media was planned and bought by PHD. Capital’s new campaign will also reach listeners streaming music and podcasts via DAX, the digital audio advertising platform created by Global. 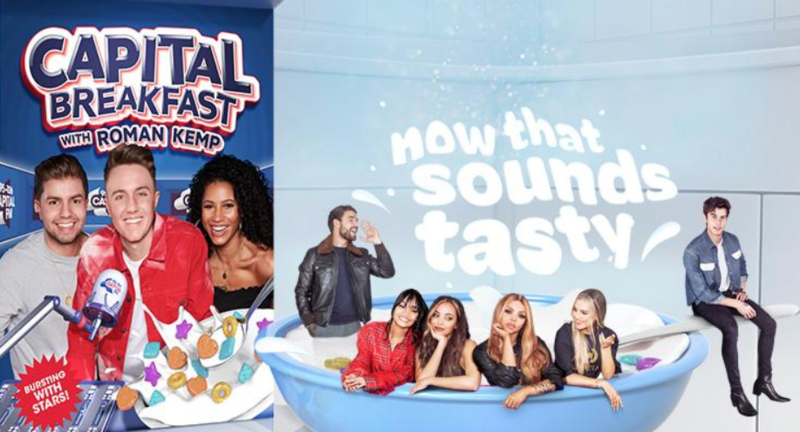 Roman Kemp, Vick Hope and Sonny Jay are replacing all the regional breakfast shows on Capital stations in England, Scotland and Wales as first revealed by RadioToday last month. And that ad pretty much sums up the station. Crap songs with loads of CGI. No it won’t as that’s not the message briefed to the marketing agency. It’s a bit cheaper to produce, but they still need producers, technical operators and journalists in the local studios for the news & travel opt-outs. A lot cheaper. As no local presenters or producers and the technology means no tech ops are required either. A button press to link output after Local Drive at 7pm and that will run through until 4pm the next day. Also factor in 2BR closing and it’s output merging with Capital Manchester, that’s a lot of staff and a building closure. That cuts costs. In most cases there will be locally based Journalists, so that seems to be mostly unchanged. We’ll see if Global’s research into audiences not caring where the output is produced from, extends to breakfast. So far in most cases it hasn’t caused people to turn off. 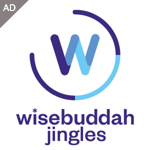 There will be an initial drop in listening as that is usually the case with major programming changes, it just depends how deep the drop is and how long it takes to build the listenership up and beyond for the show. Giving the funding for the marketing behind Capital’s National Breakfast Show and the number of job listings to expand its producing team, it will have an impact. Ashley Tabor said when Global announced the changes that it would give the brands opportunity to compete with BBC Radio 1 for Capital and BBC Radio 2 for Heart. Only when the Rajar listening figures are released in X number of months time will we get to see how successful out of the gate Global’s strategy might be. If it doesn’t go to plan expect many quarters of Rajar releases before change if any occurs. It is fantasy to believe that Global will change tactics. I know a lot of people the Capital changes have affected, they are skilled passionate people, some I’ve had the pleasure of working with in the past. It hurts to lose out or be told your time at a station is coming to an end. It doesn’t take your experience, knowledge or passion away. I speak as someone who has experienced being let go a number of times, through cuts and mergers. Remember there is always a way forward. I agree with all of this. This was completely unnecessary of Ofcom at this stage. Commercial radio is highly profitable, the previous approved areas were sustainable for at least the next five years, and the FM frequencies are still valuable assets. What local studios, lots of station buildings up for sale by Global. Studio closures will mostly affect the Heart Network. Capital are set retain most sites and buildings as they are in large markets to base sales, promo and news teams. Global Engineering and News also provide services to Communicorp UK’s stations. As long as they keep their ridiculously expensive studios in Leicester Square, eh? A good boast but that’s about it. Depends how long the lease is, Irrespective of my feeling about Global I’m sure even the size, viability and cost of this building is reviewed. Studio, office and admin needs change over time – especially on real estate like this. Depends how much it costs them and how long they are committed to it. Nothing in modern business is a sacred cow. I think things might have worked out differently if the Radio Authority had advertised two national pop stations on FM in the 1990s, rather than an assortment of regional and small-scale licences. Every county could have had one proper ILR station which was local all day, just like the original 1979 plan.